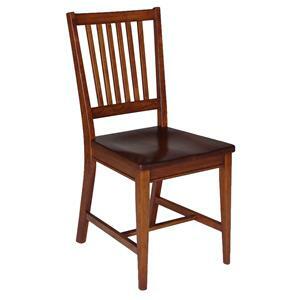 An updated version of the Swedish classic, this solid wood dining side chair is simple without being plain. Featuring Cherry construction for durability and extra aesthetic appeal, this chair features a thinly slatted backrest, a subtly contoured seat and an H-stretcher base. Match this chair with a smaller or mid-sized table. 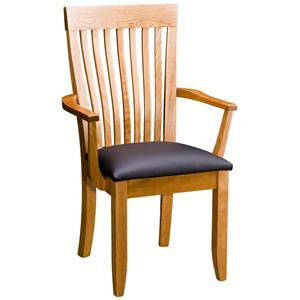 This arm chair features a slat back, wooden track arms and an upholstered leather seat. Straight tapered legs and fine wood finsih. Available in maple or cherry wood finish. With a unique platform style that creates the illusion that the bed is floating, the Tara platform bed highlights clean contemporary design mixed with rustic warmth. 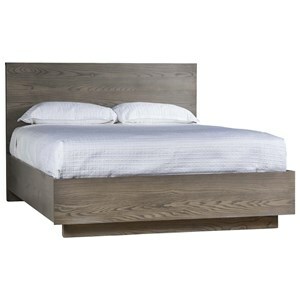 The bed is hand-crafted in the USA from solid woods and is available in a variety of finish options. Featuring a shorter headboard and clean lines, the bed showcases sophisticated modern style without dominating your bedroom space. 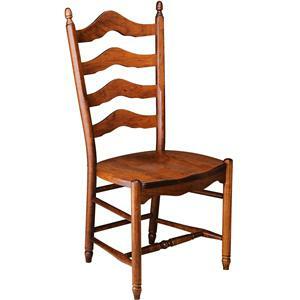 Designed during medieval times, ladder back chairs remain consistently popular. Our version uses long, steam-bent back posts that offer gentle lumbar support, a feature missing in too many ladder backs. 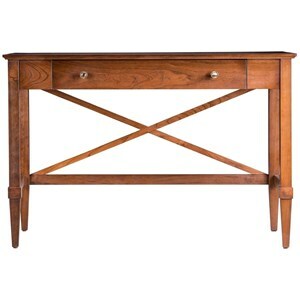 This Mission style media console table is constructed from solid wood and features two storage drawers and two open shelves for easily accessible media player storage. Wire management access holes can be located at the case back behind each open shelf. 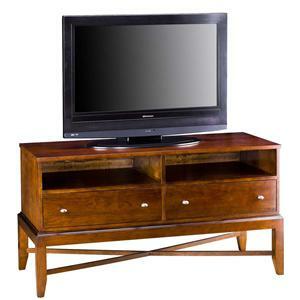 A two-door media storage hutch is available for order if concealed TV storage is needed. Available in Cherry and Maple finishes. Constructed with a tall, gently curving back, the Madison Chair supports people in all the right ways. The back slats are steam bent to help this chair conform to people, instead of forcing people to conform to it. 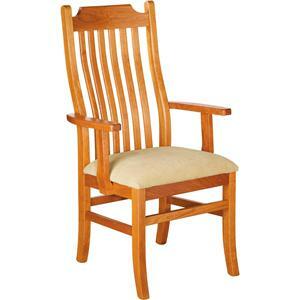 This chair features wooden arms and an upholstered seat. 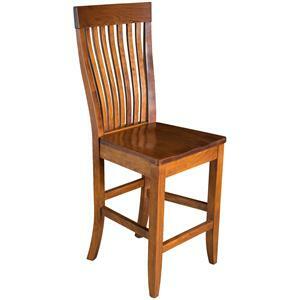 This Monterey Counter Chair features a vertical slat back design and contoured seat for comfort. The box stretcher base also offers a comfortable place to rest your feet while enjoying a meal with family or friends. Available with contrasting seat. Available in Cherry and Maple. Crafted from your choice of Ash, Maple, or Cherry solid wood, small scale vanity can be used as a classic vanity for getting ready, or as a simple desk or workspace. The piece is American made and highlights clean, simple forms for a timeless look that's rooted in classic American design. Put your own personal touch into the design by choosing from 66 different finishes to customize the look. Inspired by a bench spotted in Switzerland, this American-made, solid wood dining bench makes a great addition to any room of the home. 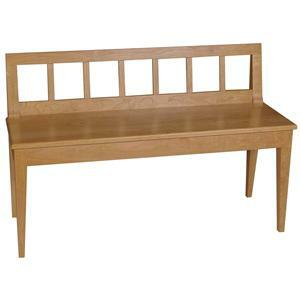 Armless with tapered legs and an open slat backrest, this bench is simple and straightforward in its design. 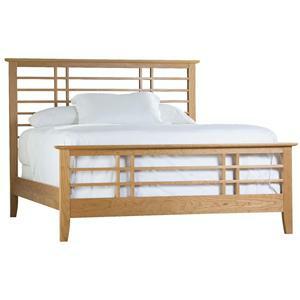 The Evelyn bed features horizontal slats on both the headboard and footboard. Clean and simple lines give this bed versatile beauty. This bed is also available as headboard only. Available in Twin, Double, Queen, King & California King.